ASRB LDC, Stenographer Previous Question Papers and Syllabus Download in PDF format file. It’s really a good news who are completed Inter and waiting for govt jobs. The Agriculture Scientist Recruitment Board (ASRB) has published Stenographer Grade-III and Lower Division Clerk (LDC) Competitive Exam Notification 2017. 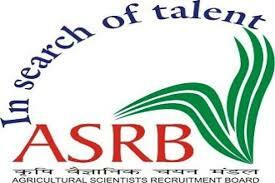 Aspirants may apply online mode by visiting the official site of ASRB @ http://www.asrb.org.in before the last date. Other details related to ASRB LDC, Steno Previous Question Papers, solved question papers, exam pattern, syllabus, vacancies, salary and more given below.